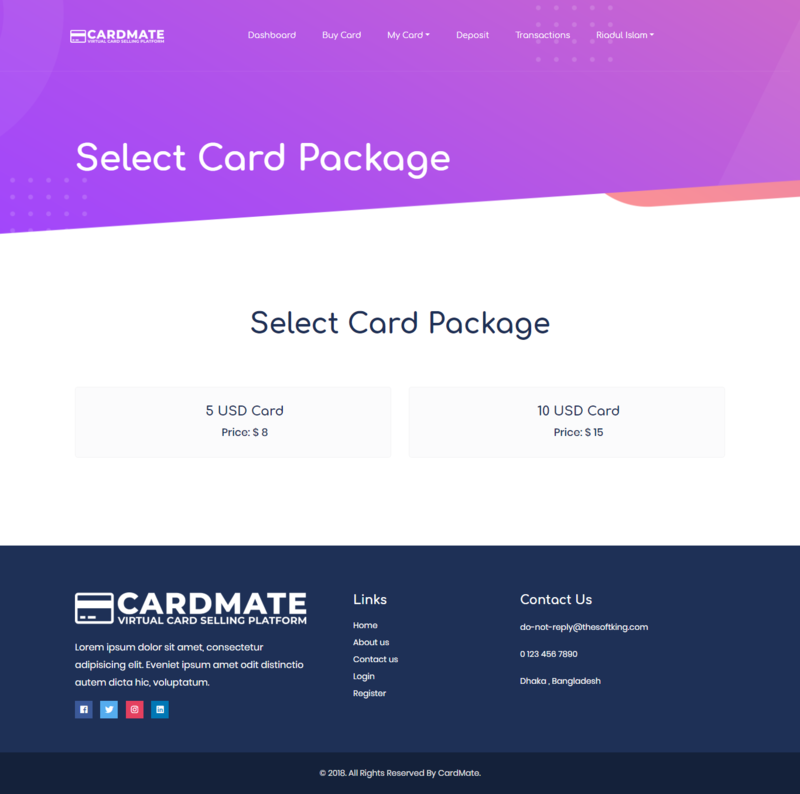 Cardmate is a Online Virtual PrePaid Card selling platform developed with PHP Laravel. 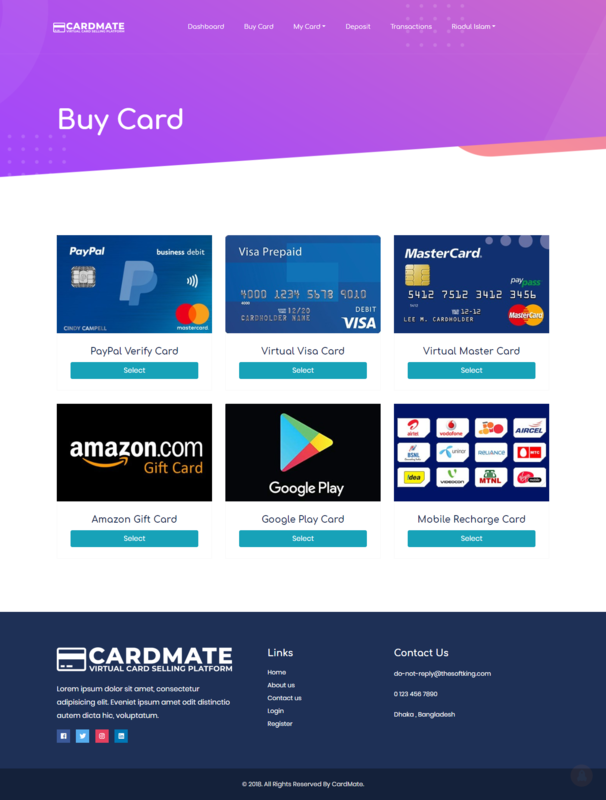 CardMate Comes with a lots of unique features normaly needs to run a card selling business. 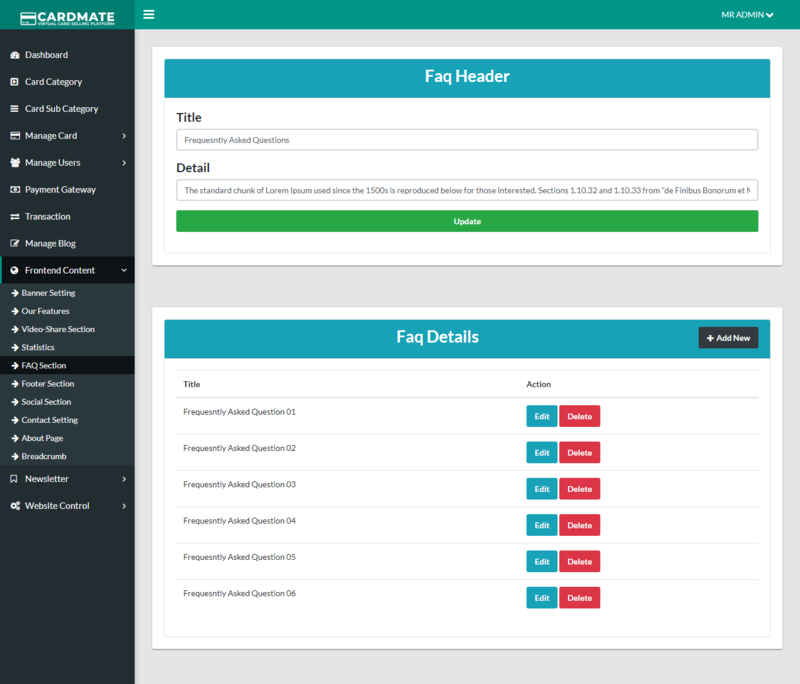 Cardmate is full responsive and cross browser optimized Script. 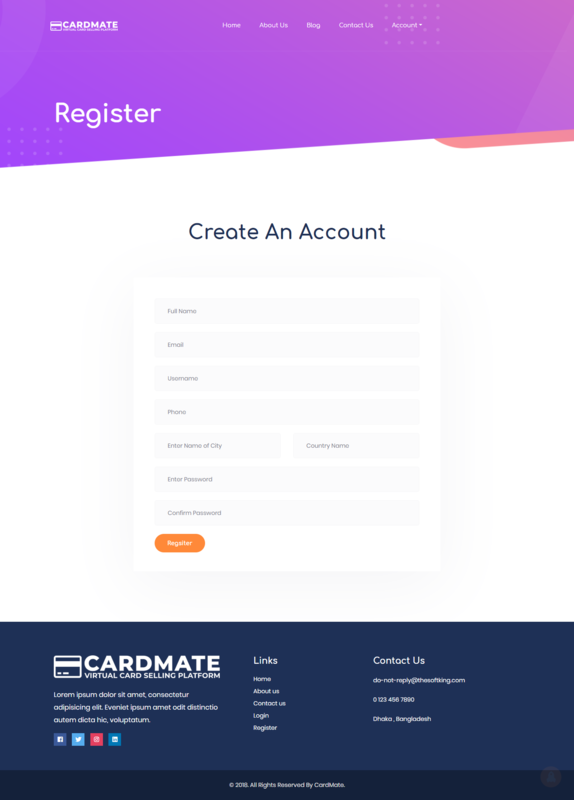 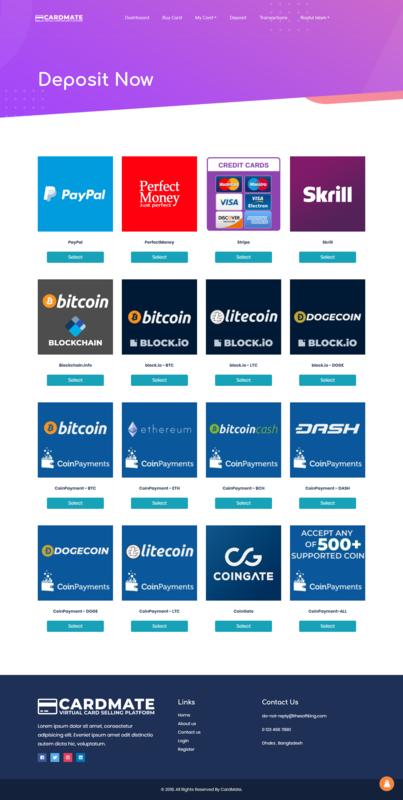 Secure, Unique Looks, Updated Features, Bugs Free, Error Free, Responsive, Support 16+ Automated Payment Method & More…. 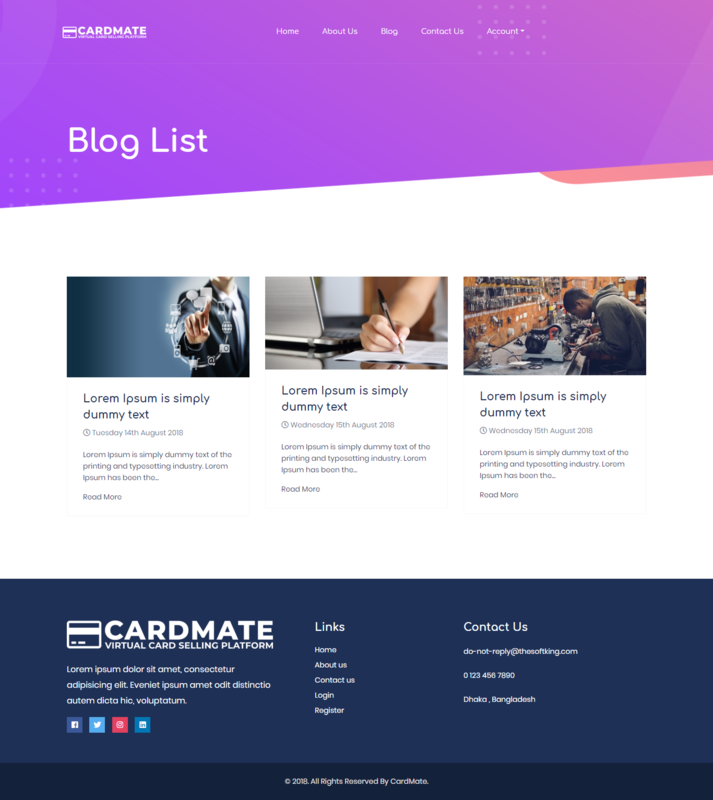 ☷ Blog & Site Menus. 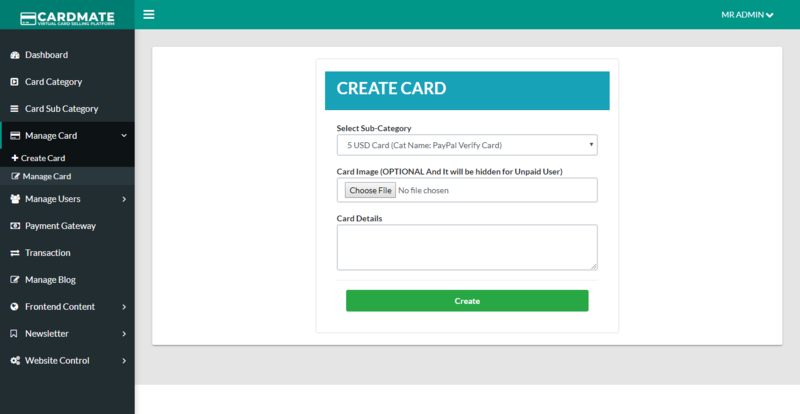 ☷ 16+ Automated Deposit Method. 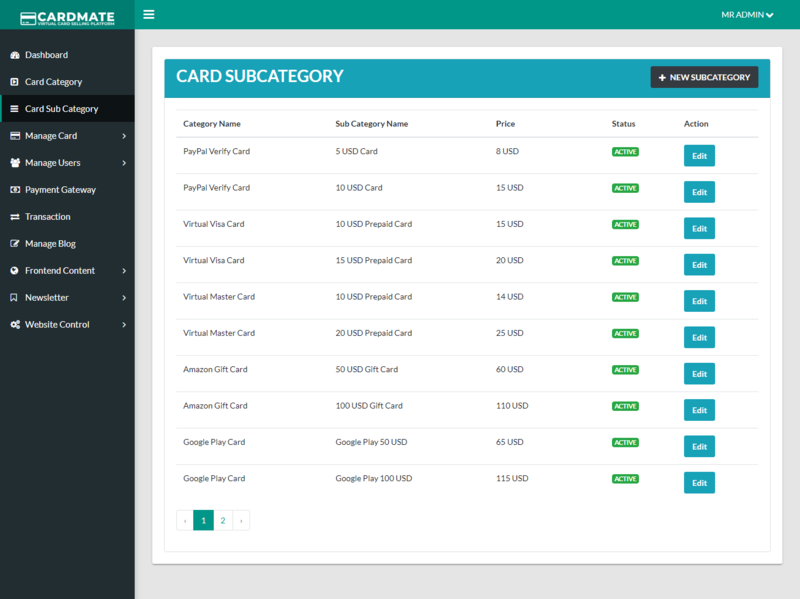 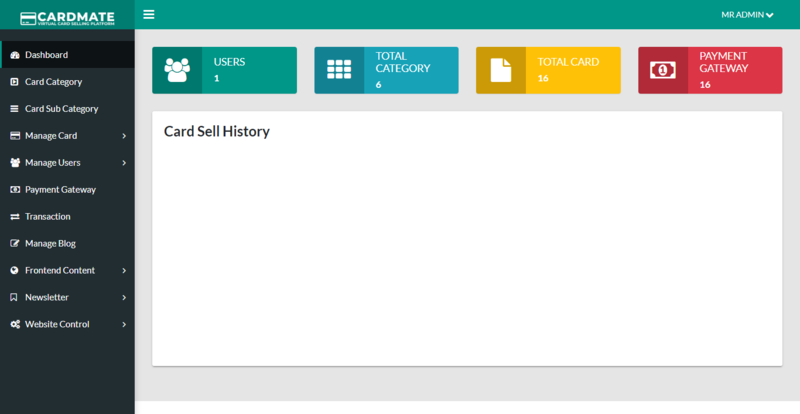 ☷ Card Sub Category Management. 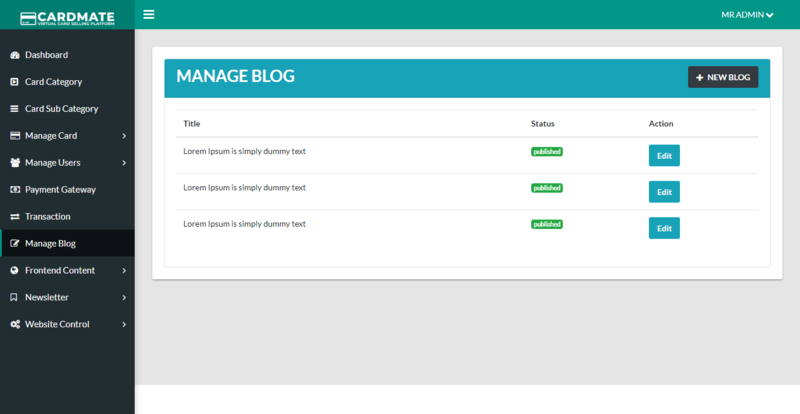 ☷ Logo and Icon Management. 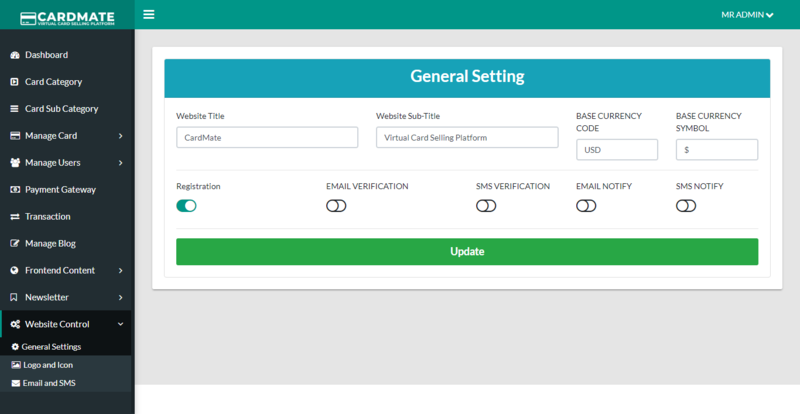 ☷ Email and SMS Notification.